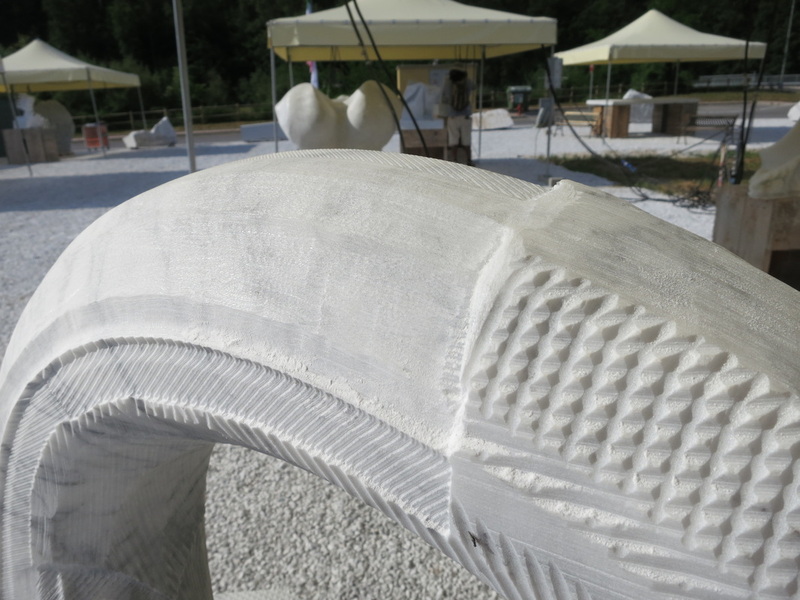 Sacred Growth, Fruiting Column uses contemporary technologies to create a sculpture that addresses the changing nature of materials and cultural symbols in a global economy. 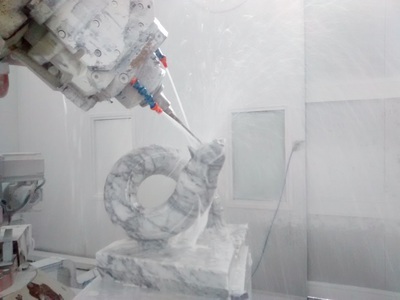 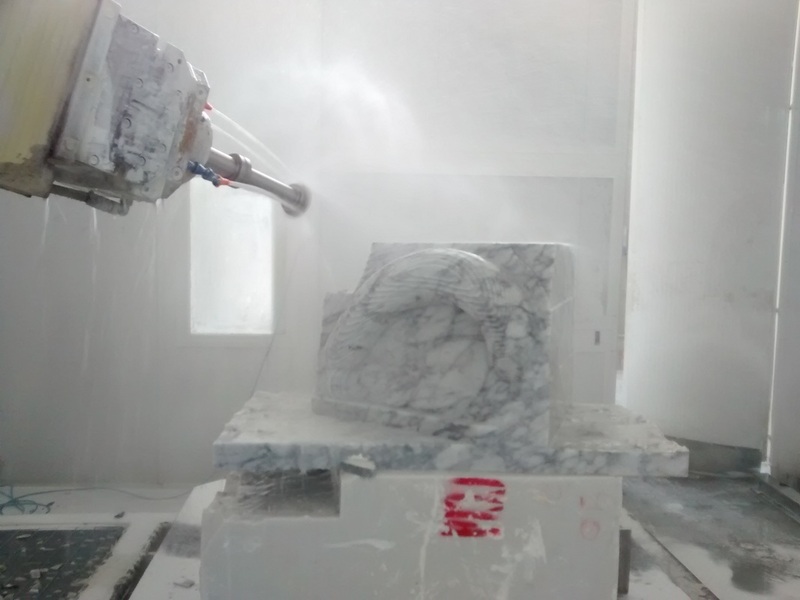 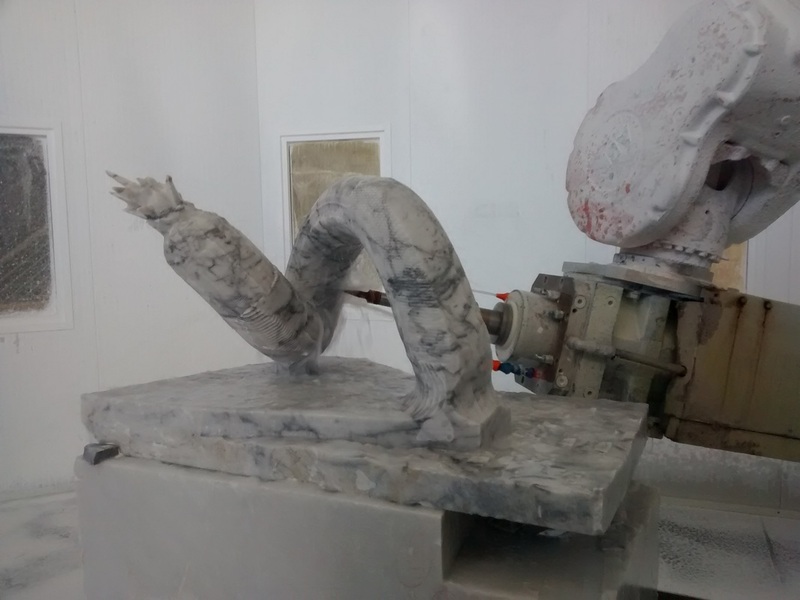 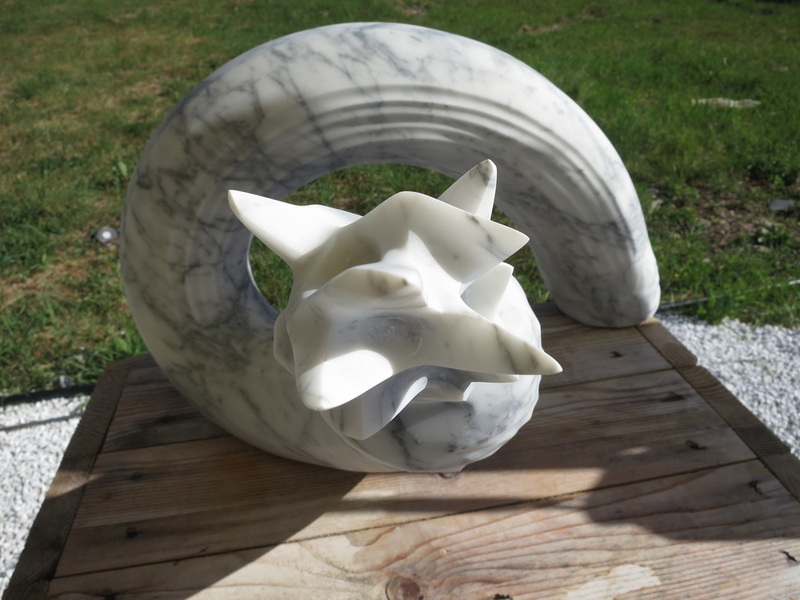 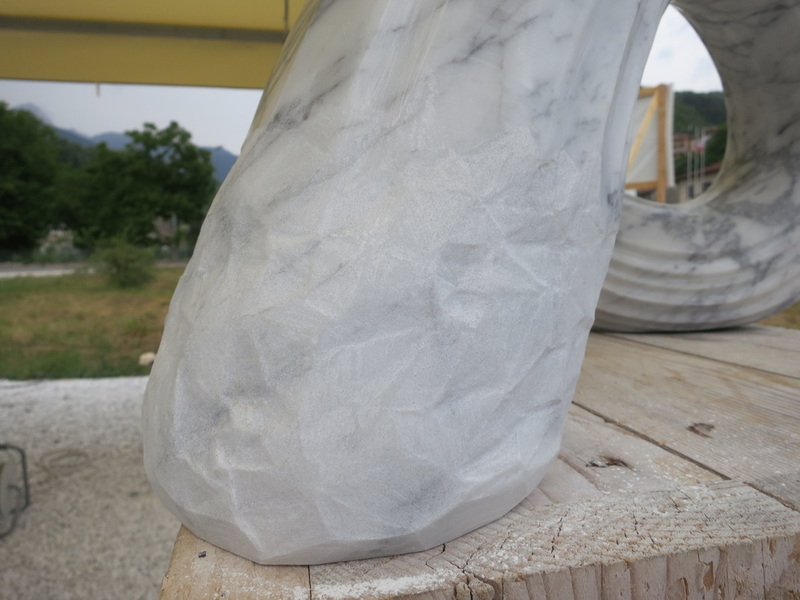 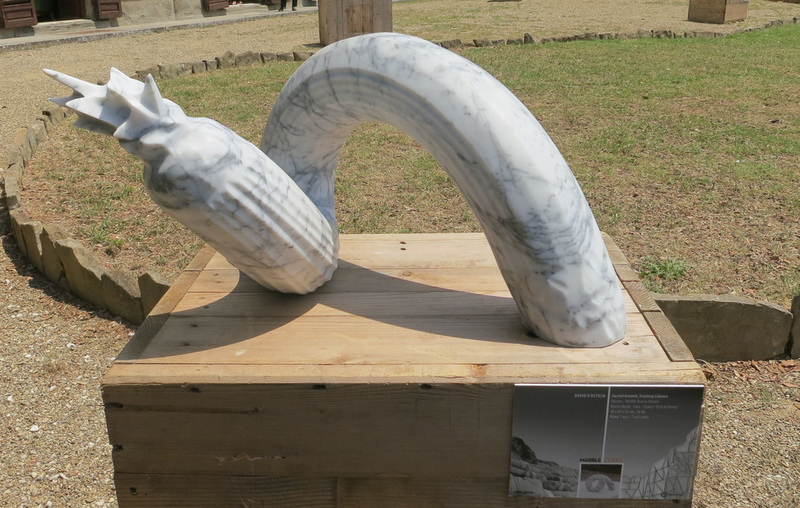 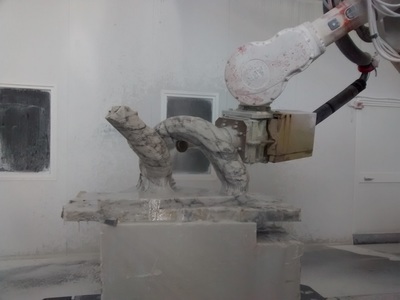 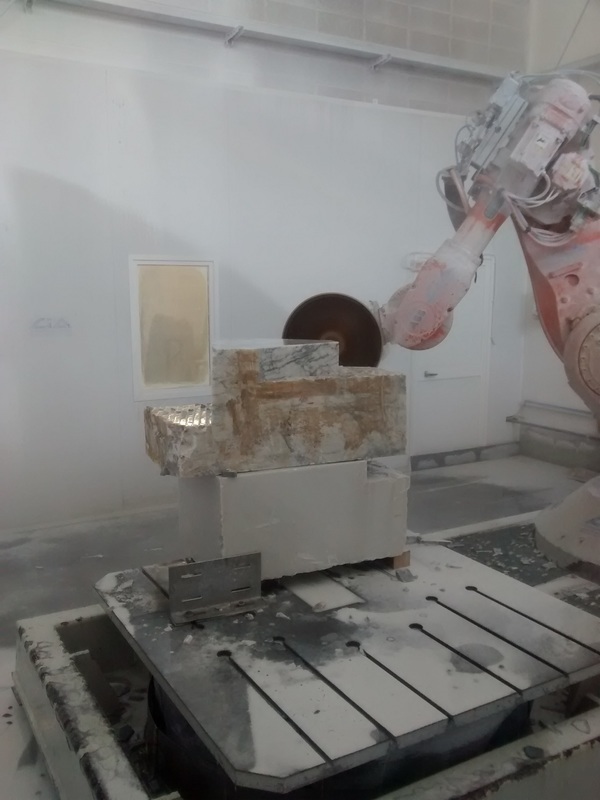 This work was shown in the exhibition Marble Codes: Robotic Sculpture from Garfagnana at the Giardino di Villa Strozzi in Florence, Italy from July 3 through July 30, 2015. 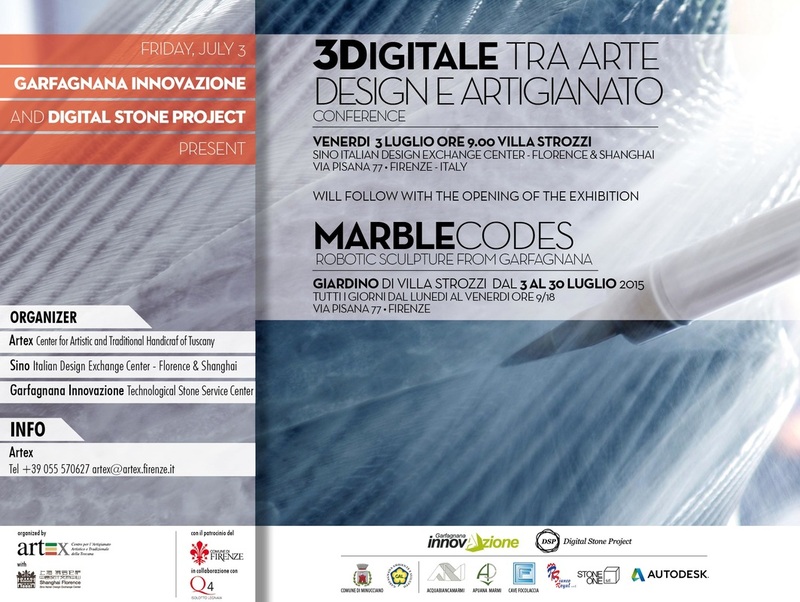 It is a project that was realized in conjunction with the Digital Stone Project, and Garfagnana Innovazione. 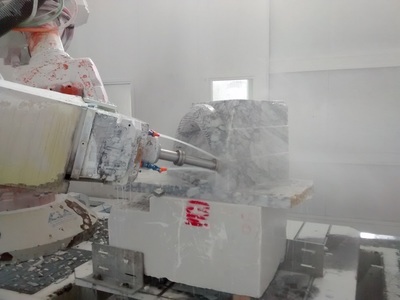 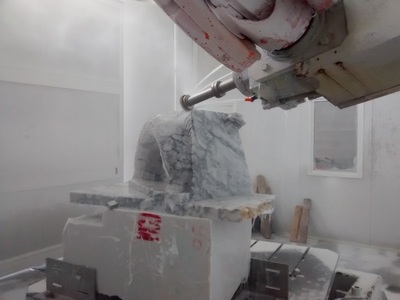 The Digital Stone Project bridges art and technology by creating new opportunities for artists to engage in state-of-the-art digital tools for the realization of innovative works of art in stone. 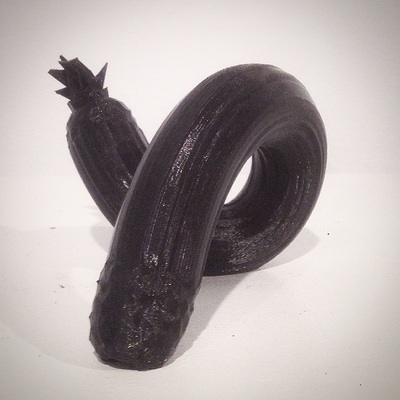 Sacred Growth, Fruiting column begins with a 3D scan of a pineapple. 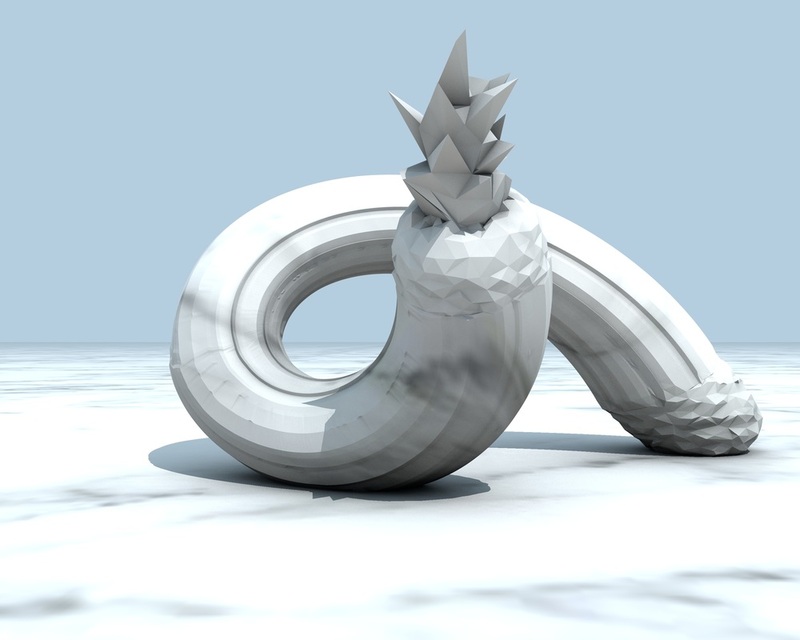 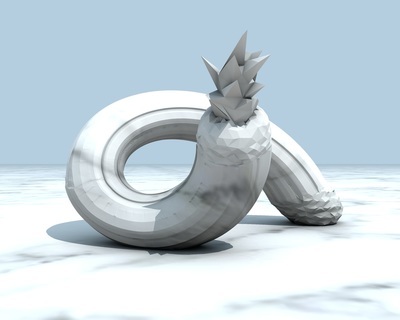 This scan is modeled into a low polygon model of the original. It becomes digitally stylized through this process. The model is then cut, stretched, and lofted along a formula. 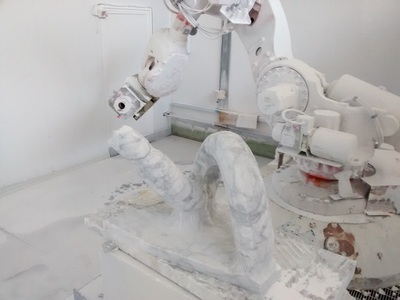 This process created the digital file that was then send to Italy where is was programmed and carved with a 7 axis robot. Upon arriving in Italy the sculpture was already milled in a rough state. 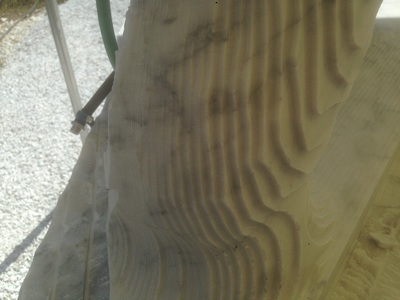 A month was spent hand carving the piece from rough form to finished artwork. 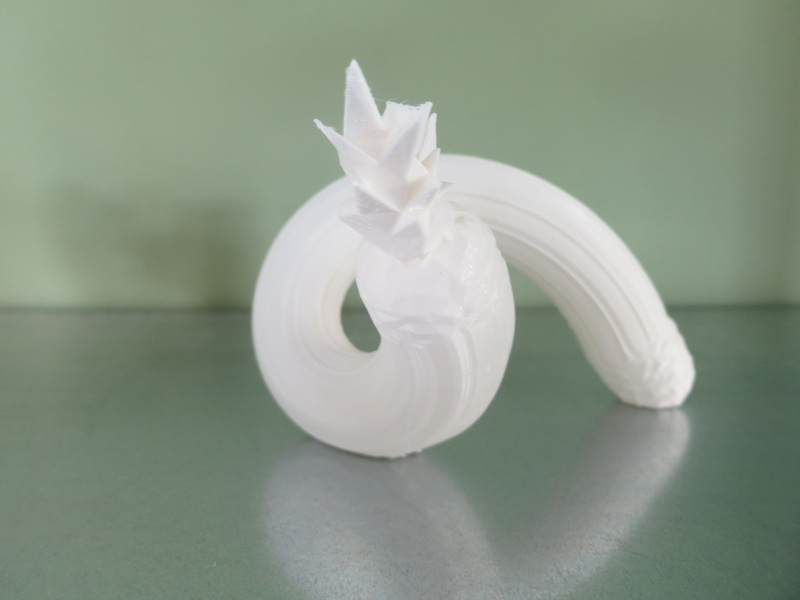 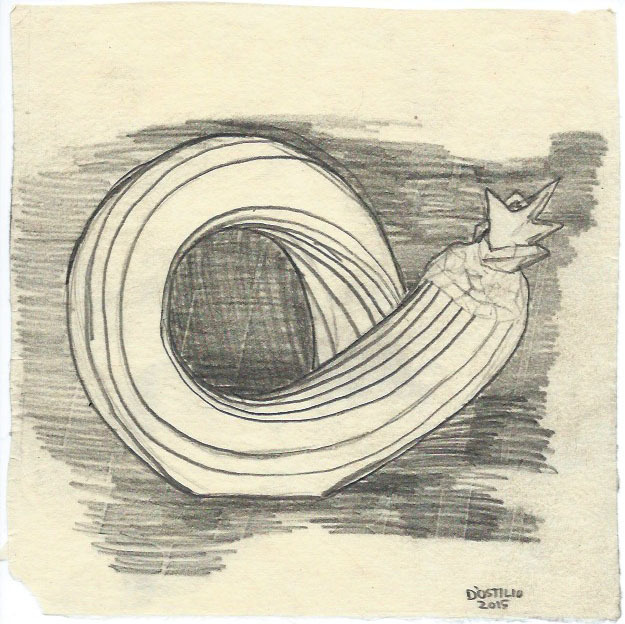 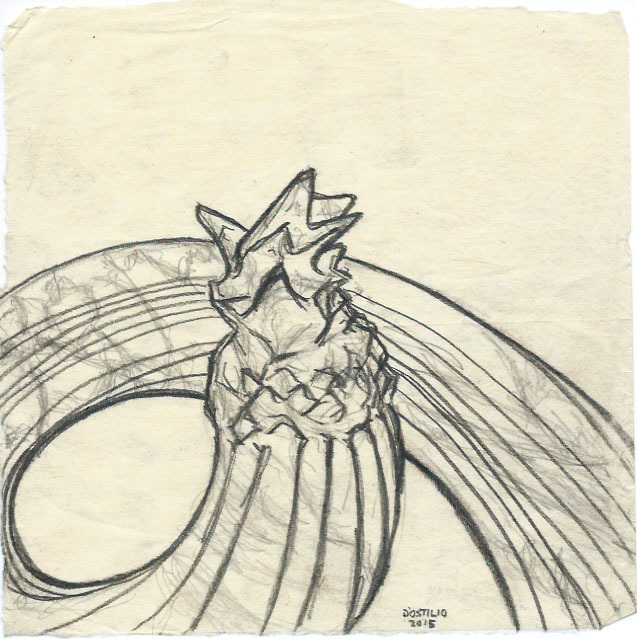 The design of the piece is a pineapple stretched along a Fibonacci spiral. The Fibonacci spiral is a mathematical sequence featuring numbers that are sum of the two numbers before them. 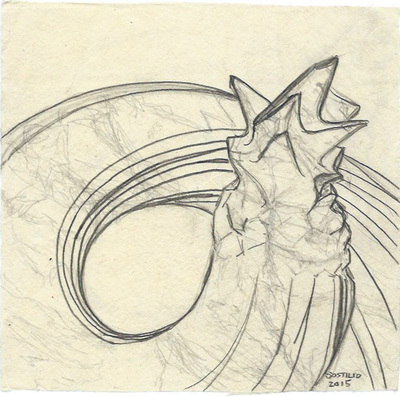 the sequence begins 0, 1, 1, 2, 3, 5, 8, 13, 21, 33, 54... 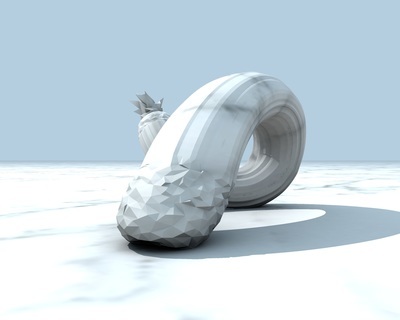 The pineapple was 3D scanned and a formula was used to create the spiral, an exaggeration of the way pineapples grow in nature. 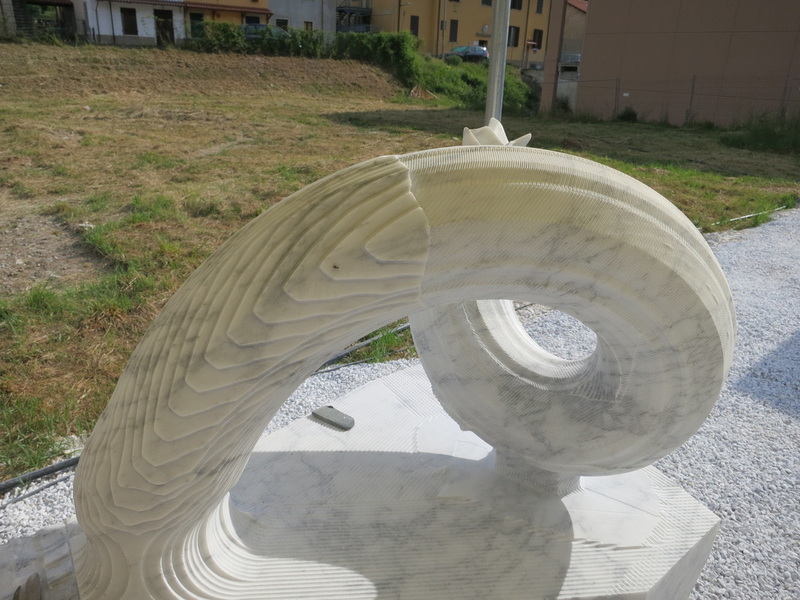 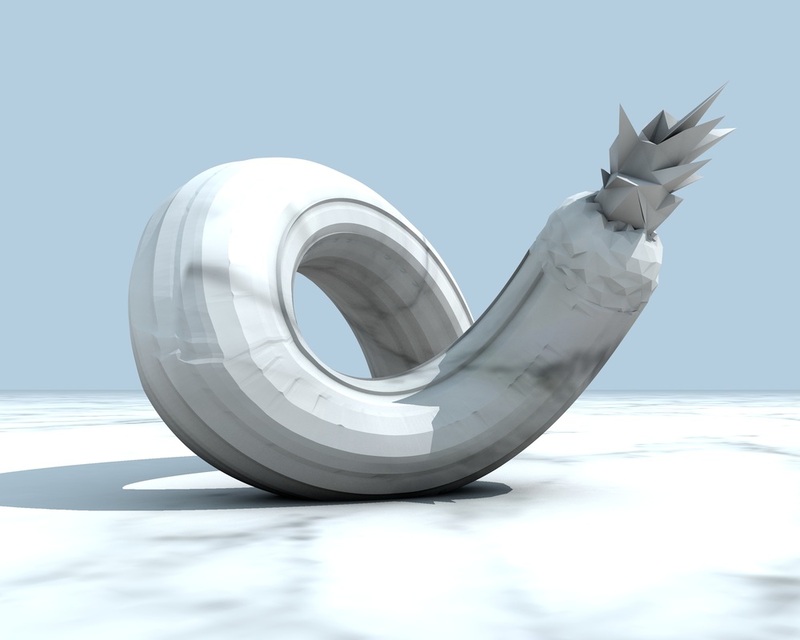 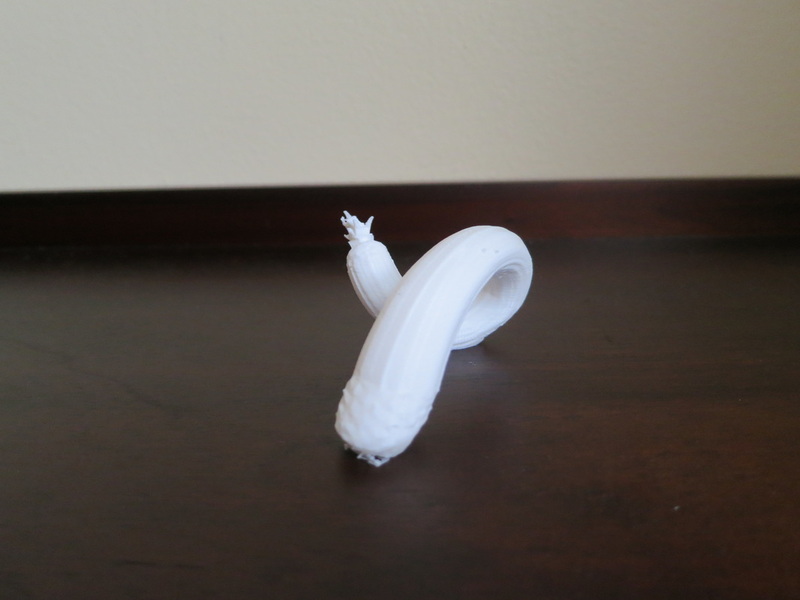 The 3D scan was stretched along this formula to create the column like spiral structure. 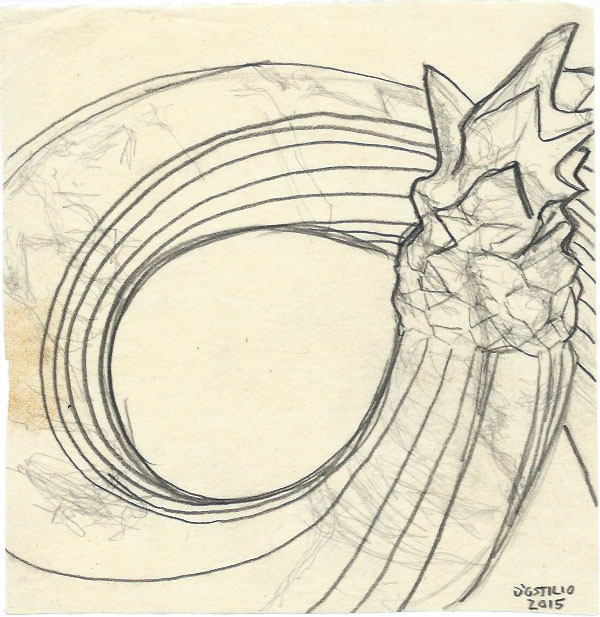 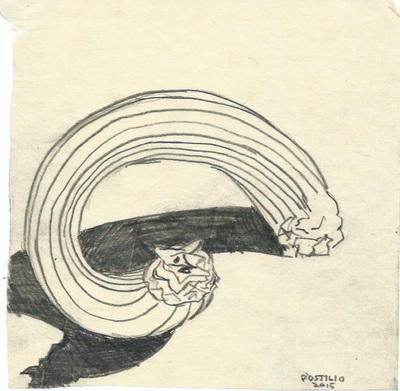 The spiral is found throughout nature in growth patterns of fruits, flowers, and in the valleys of fractals. 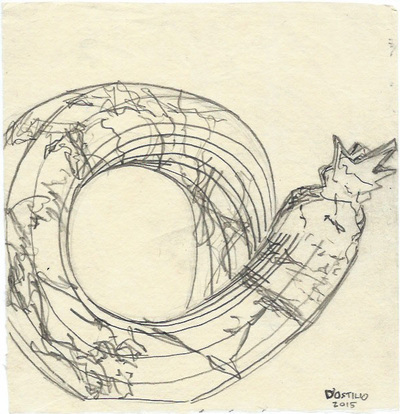 The Fibonacci sequence is the same set of numbers used to create the Golden Ratio, the Renaissance era's principle for design in architecture and art. 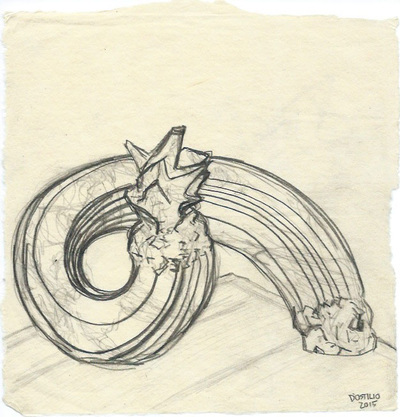 The fibonacci spiral speaks to the growth of pineapples as well as classical design. 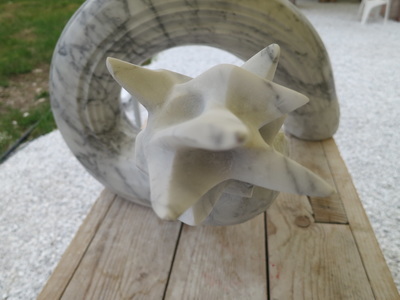 The pineapple has another connection to marble as well. 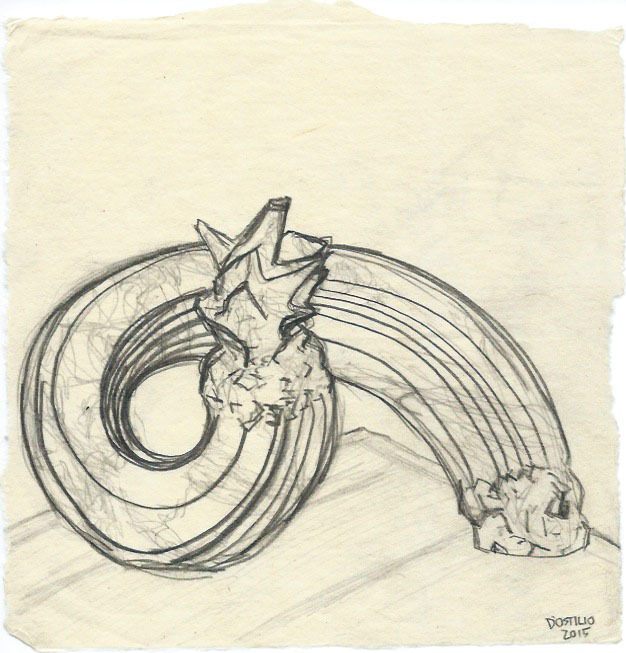 The pineapple over time has become an architectural motif, used at entry ways, gates, and doors, to crown columns as well as keystones. 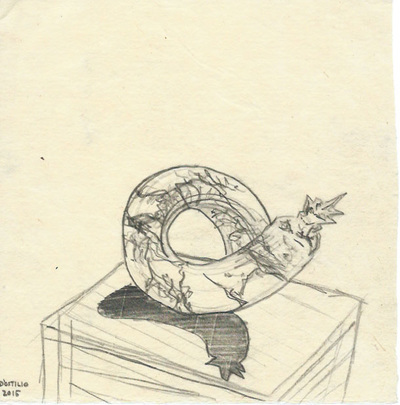 It is a symbol of hospitality going back to times when a pineapple was an expensive and rare commodity. Drawings are a central element of the design process. Renderings are 2D images created from the digital 3D model. 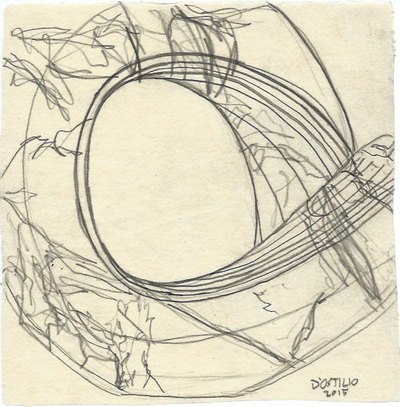 Renderings help to visualize the work with light and shadow. 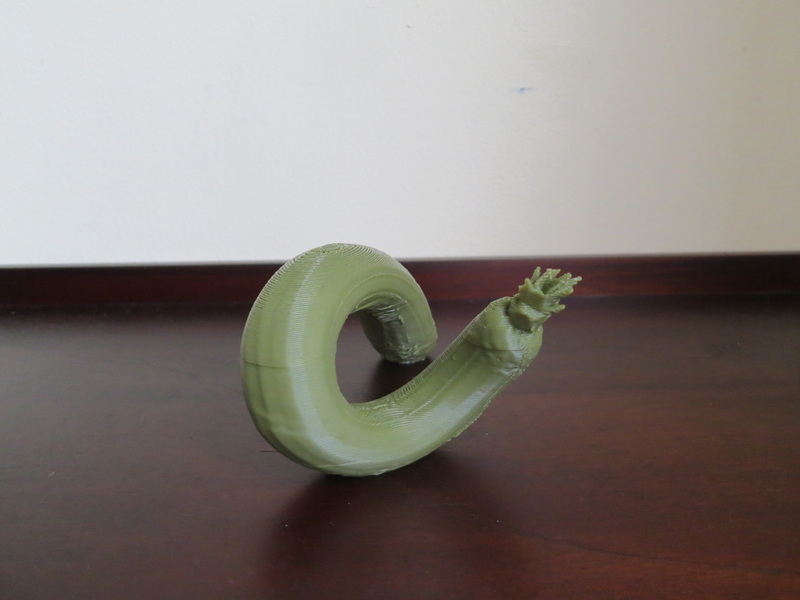 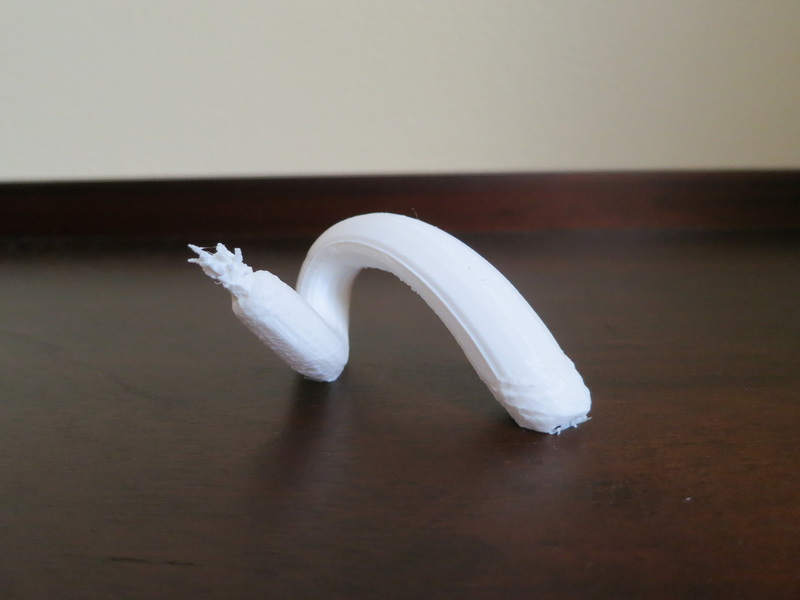 3D printing allows for fast and cheap creation of scale models of the digital 3D model. 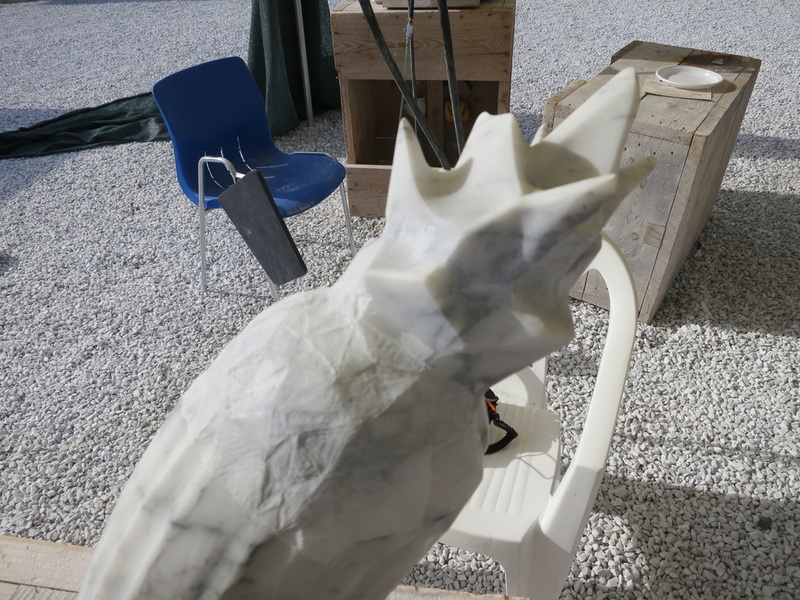 These scale models allow you to sense points of contact and balance in the real world. Toolpaths are generated from the 3D model by an engineer. These tool paths tell the robot how to carve the marble. 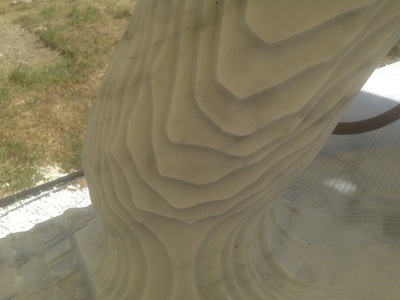 This is a 7-axis robot carving Sacred Growth, Fruiting Column. 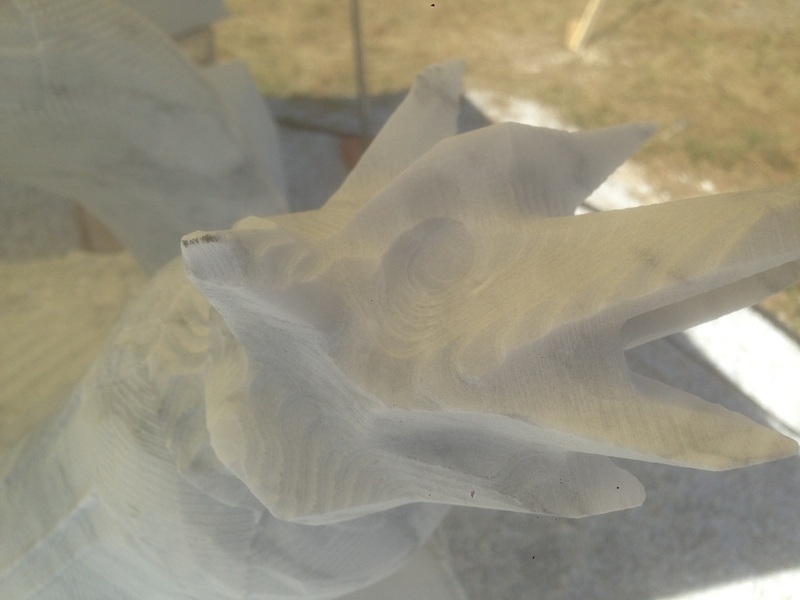 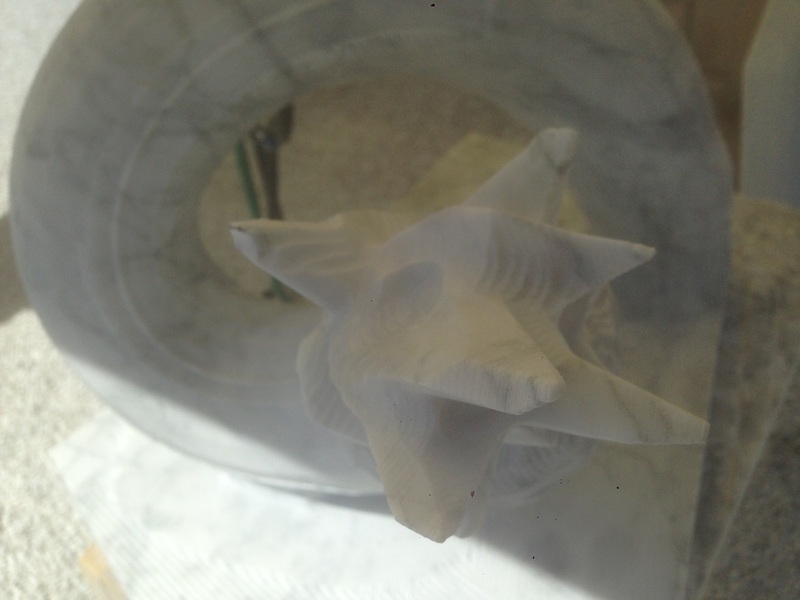 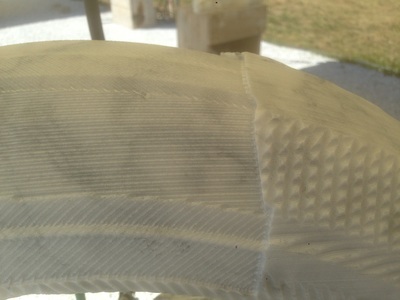 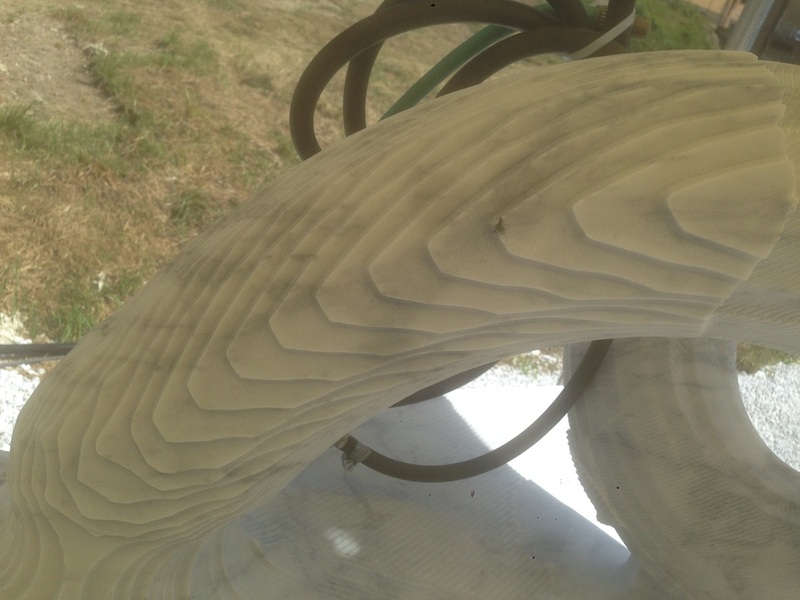 These are photos of the sculpture after the robotic carving is complete. 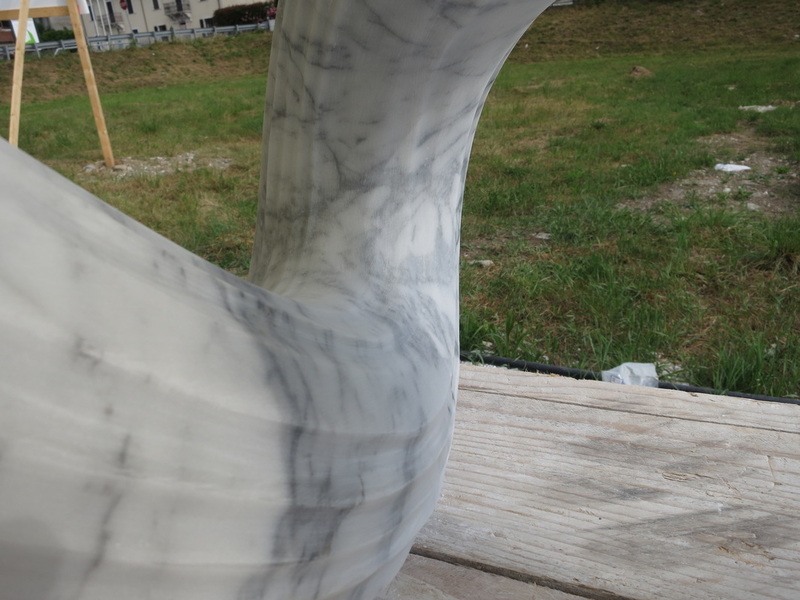 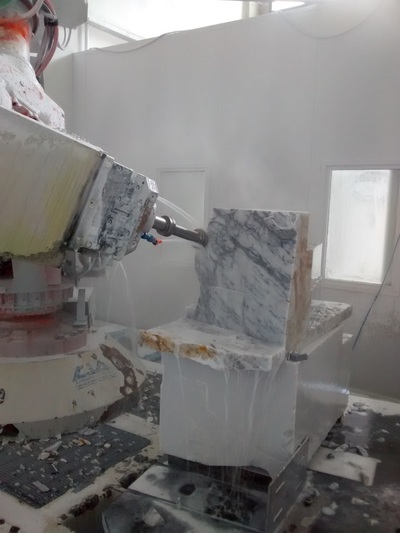 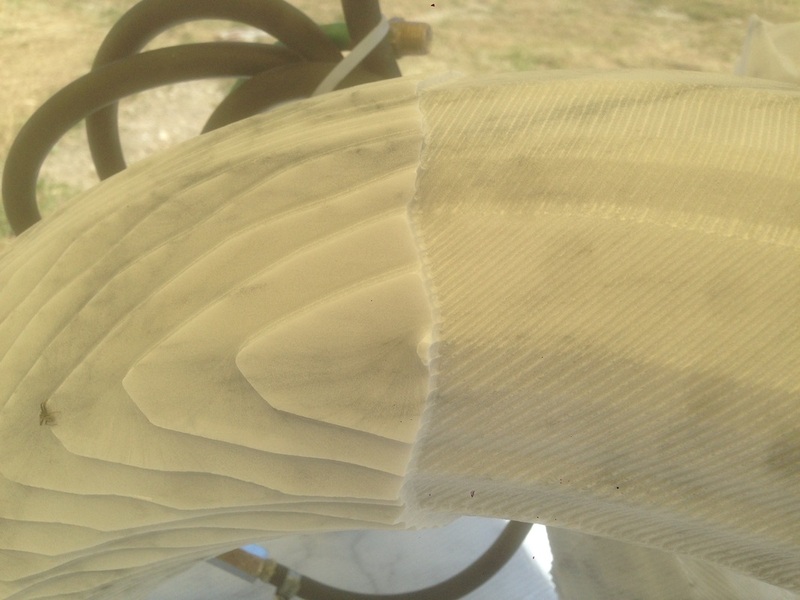 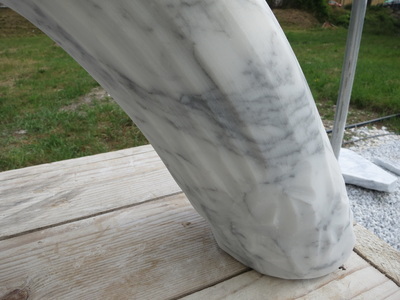 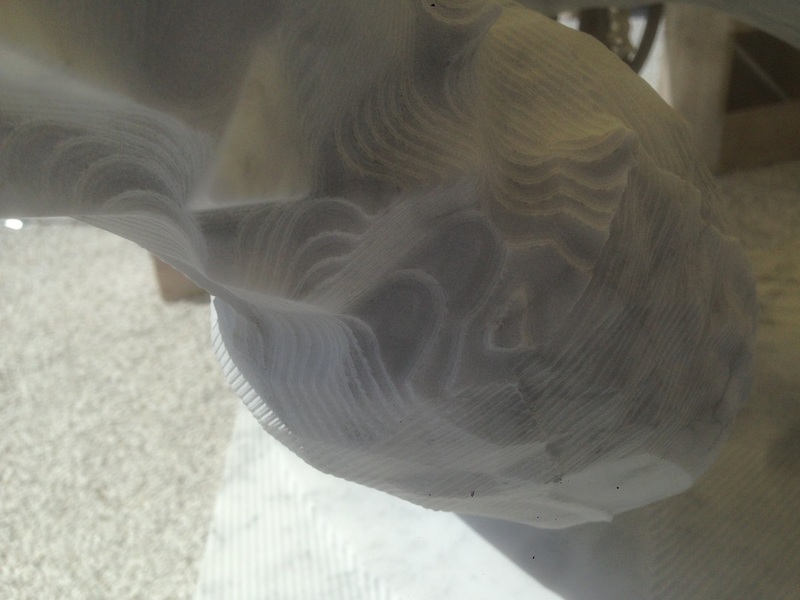 The lines on the marble are the result of the tool paths designed by the engineer. The next step in the process is manual carving. 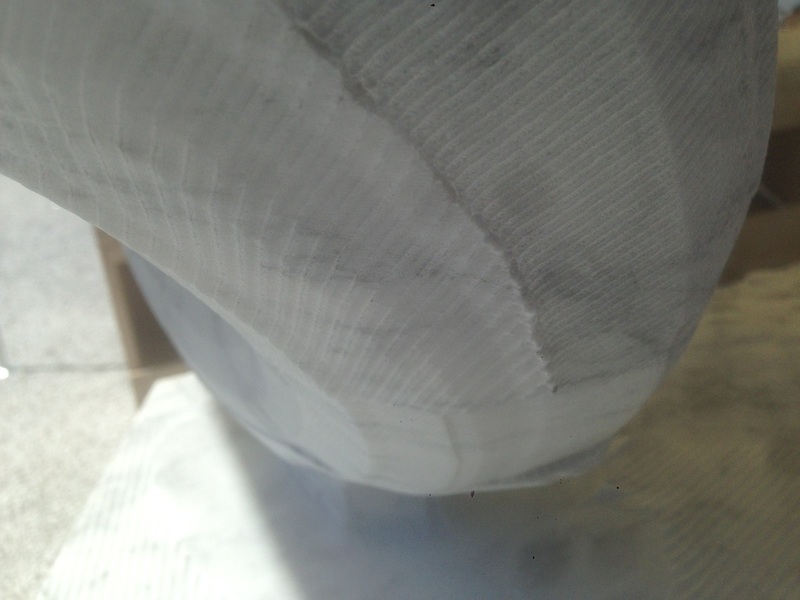 The removal of evident machine marks is necessary to finish my sculpture. 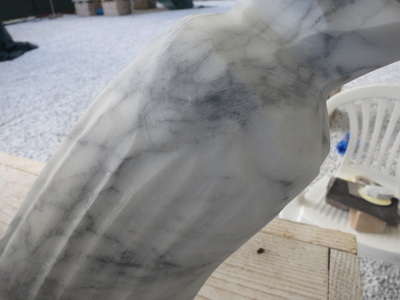 Carving by hand is required to bring a smooth finish to the marble.